On Thursday night in Yankee Stadium there was in fact crying allowed in baseball as New York Yankees’ closer Mariano Rivera said goodbye with class, composure and a few tears on a teammate’s shoulder. I did not watch the moment when it happened live as the Yankees game against the Tampa Bay Rays was not televised in my market. But when I woke up Friday morning to check out the game highlights from the night before there was a link to video of the moment Mariano left the mound for the last time. I figured the video was worth watching since the teaser said that Derek Jeter and Andy Petittie were the ones to take Mariano out of the game which by itself is unusual. I figured it would be nice to see the tribute before heading off to work. 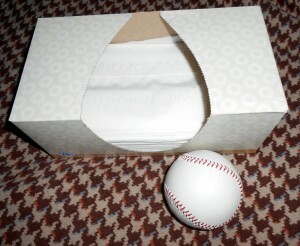 With all apologies to Tom Hanks who famously said that “there is no crying in baseball,” I maintain there are times when it is allowed. In hindsight I was not prepared for the video. Once Mariano’s teammates arrived on the mound and it was clear that this was the last time that he would leave the mound in Yankee Stadium the emotions finally erupted and as he buried his head in his teammate’s shoulder the tears began to fall from his eyes. The television broadcasters did the right thing and did not speak over the moment as broadcasters often try to do since they are taught to fill every moment of dead air. But in that nearly eight minutes of dead air emotions rang true and the human element of sports was allowed to shine through. Mariano went through the dugout and hugged each of his teammates before getting pushed out for one last curtain call as the hometown crowd cheered for him one final time. Of course Mariano was not alone in shedding tears. There were people shedding tears throughout Yankee Stadium as the moment unfolded. And as I was watching the video I found myself shedding tears as well which certainly caught me by surprise. Like most of baseball I am not a fan of the Yankees. As I have stated before there were certain Yankee players such as Don Mattingly that I rooted for growing up but by and large the Yankees were always the team that stood in the way of my Orioles and Rays reaching the postseason so it was hard to root for them. I also did not care for the free spending of the Yankees who seemed to treat the other 29 teams as their farm teams and cherry picked free agents from other teams year after year to build their super rosters. But the moment on the mound Thursday night was not about a Yankee player or any other team for that matter. It was about a man who had given his all taking a curtain call and knowing that there would never be another moment like that. As was the case during this year’s All Star game players from both teams and the entire crowd gave Mariano Rivera a standing ovation and a tip of the cap for a career played free of controversy in an era that needed players to look up to. So as I watched the video I too was caught up in the emotion of the moment and had some tears flow. I later learned I was not alone in the show of emotions after the fact as the host of one of the sports talk shows I listen to on the radio admitted that he too had been brought to tears by the moment. The closest baseball comparison to Mariano’s moment that I can think of in my lifetime was when Cal Ripken, Jr. broke Lou Gehrig’s record for consecutive games played at Oriole Park at Camden Yards. 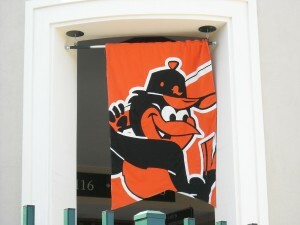 The baseball schedule had been arranged so that the record breaking moment would take place at the Orioles home ballpark so that the Oriole nation could share in the celebration. Much like Mariano Rivera, Cal Ripken, Jr. played the game the right way and spent his whole career with the team that drafted him. 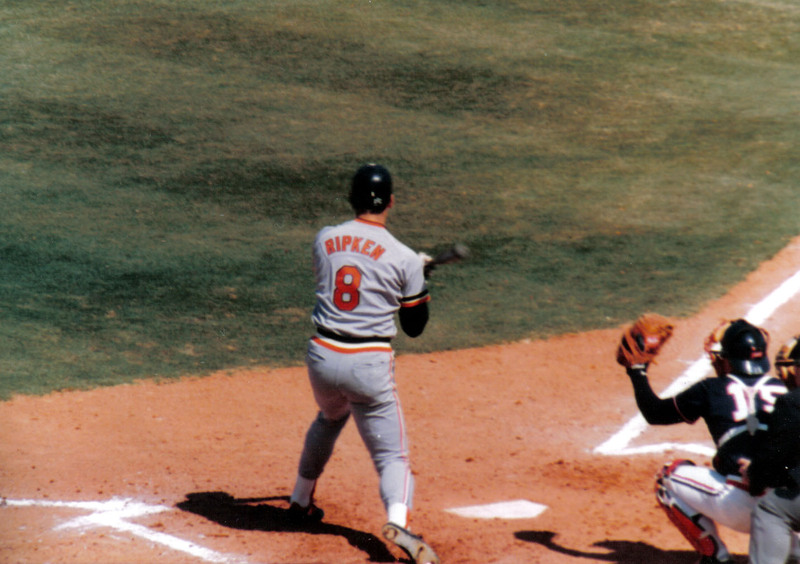 I do not think I cried when Ripken broke the record, but I do recall it being a moment of extreme happiness as the player I had followed for as long as I could remember broke what many thought would be an untouchable record. So like that night so many years before when all eyes were on Cal Ripken, Jr., Thursday night belonged to Mariano Rivera and the fans who wanted to say goodbye. In the end the Rays won the game 4-0 completing the sweep of the Yankees and keeping a one-game lead for the top spot in the Wildcard. While the night did not end with Mariano Rivera earning a save, he showed the world that watched it live and those that caught the highlight later online that even grown men can cry now and then on the baseball diamond and that is totally acceptable. 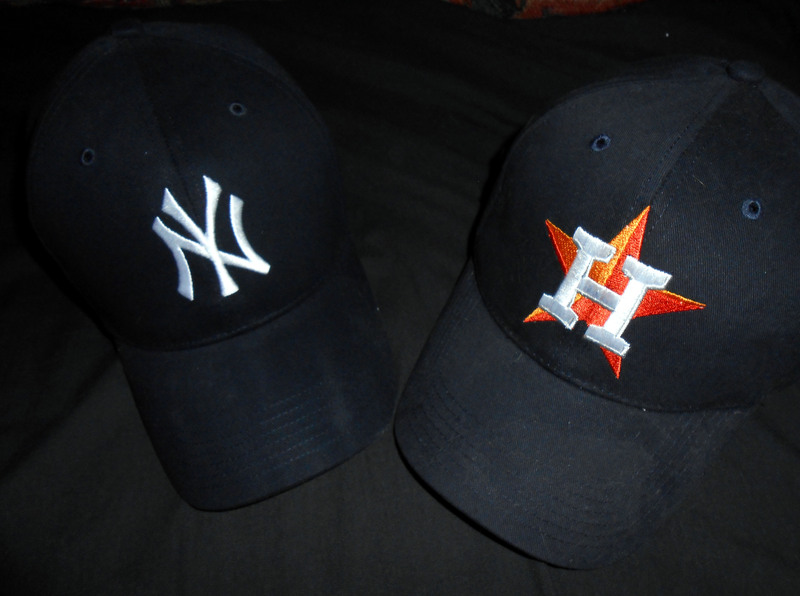 Tonight at Minute Maid Park the New York Yankees will face the Houston Astros for the first of three games to end the regular season. Having been eliminated from the postseason Wednesday night with a loss to the Tampa Bay Rays the Yankees will end their season Sunday afternoon and prepare for next year. With losses at an all-time record setting pace the Houston Astros will end their season Sunday and will most likely prepare for more of the same next season. So with two teams facing off with really nothing to play for tonight it makes for an interesting combination of seasons that did not go as planned. On a personal note when I take my seat for the game tonight it will complete a 12-year journey to see all 30 Major League teams in a single ballpark. While many in Houston have complained about the Astros moving to the American League the change in scenery allowed me to cross off the Mariners, Athletics, Orioles, Twins, Angels, and Yankees this season. Although I had already seen all of the National League teams and some American League teams during Inter-league play over the years it would have taken many more seasons to be able to see all 30 teams had the Astros stayed in the National League and I waited for the teams to come through on the regular Interleague schedule. Tonight the New York Yankees come to Minute Maid Park for only the second time to take on the Houston Astros. 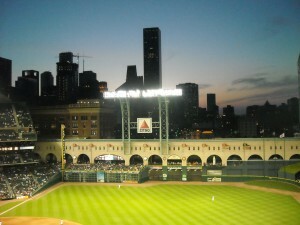 When the first pitch is thrown it will complete my quest to see all 30 Major League Baseball teams at Minute Maid Park. So from a purely selfish perspective the Astros moving to the American League served me well in my quest to see all 30 teams at least once at Minute Maid Park. It seems fitting in a way that the final team to cross off my list is the New York Yankees since they are both respected and despised among the baseball world. The Yankees are making only their second trip to Minute Maid Park. I cannot recall why it was that I missed their last visit to town but I definitely knew I would not be missing this one despite the price gouging committed by the Astros. My ticket that would normally cost $5 was “dynamically priced” to around $26 since the Yankees were coming to town and the front office knew people would likely pay more for the privilege of seeing them. Of course with that ticket I will get to see the last game pitched by Andy Pettitte as well as one of the last three games pitched by Mariano Rivera assuming that the Yankees are not too far ahead of the Astros by the time the ninth inning rolls around for it to still be a save situation. I missed the Yankees first trip to Minute Maid Park but I did not miss out on the souvenir cup. Ironically near as I can tell this will be the first time that I have seen Pettitte pitch in person despite his two and a half seasons playing for the Astros. I saw many Astros games during that time frame but never seemed to time those visits with nights he was pitching. So making my first game to see Pettitte pitch correspond with his last scheduled career start seems that much more special. Of course since he has already come out of retirement once it will be interesting to see if the Deer Park, TX native stays retired this time or is urged to give it one more try Brett Farve style. It is estimated that over 30,000 fans will attend each of the three games against the Yankees which would be more fans than have attended any games this season. That tells me that there are way more Yankees fans in Houston than Astros fans. Of course it could also just mean that there are Astros fans that waited until the last week of the season to attend a game since all of the previous weeks were too painful to watch. While the start of the end of the regular season begins today for the Yankees and the Astros it also marks the start of the Tampa Bay Rays last series in Toronto as they push to maintain their hold on the top Wildcard spot. If all goes to plan I will be rooting for the Rays all the way to the World Series which would certainly make myself and DJ Kitty very happy. If one stops to think about it life is full of routines. From the hours we work, to the route we take to get to work, there are routines that tend to be the same day after day. There is even an order in the way we get ready each morning. Any deviation in the routine such as putting on the deodorant too soon can lead to stains on one’s shirt and the need to try again. Other routines can include eating at a certain restaurant on a certain day each week because one likes the pot roast special that is only offered that day. These routines can breed both comfort and contempt for their daily sameness. The world of baseball is also full of routines before, during and after the game. Before the game players follow the same pregame warm-up rituals which can be both performance based as well as superstition based. During the game there are things called routine pop flies and double plays with the assumption being they are so easy to turn that they become routine and almost second nature. After the game many players follow the same post game rituals night after night before returning to the Ballpark the next day to start the routines all over again. 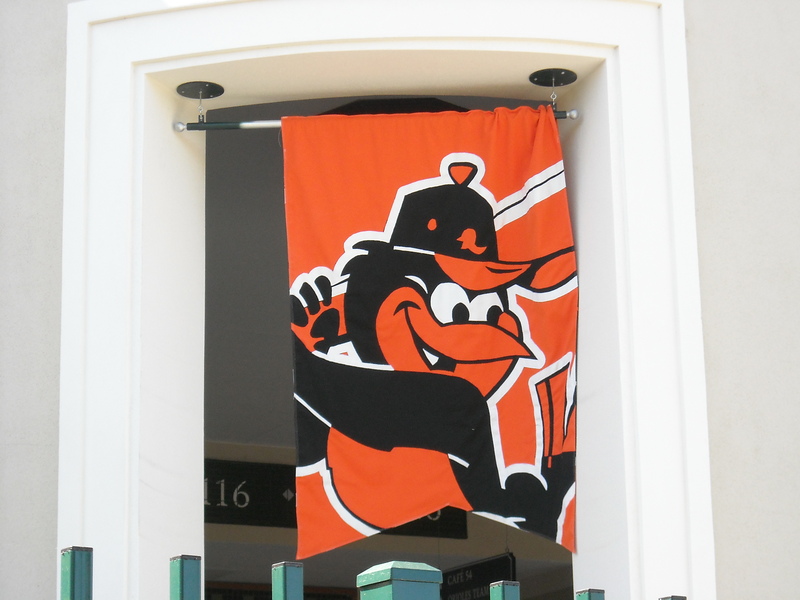 I was thinking about routines and how they can sometimes go wrong the other night when I saw a video of Baltimore Orioles third baseman Manny Machado’s knee injury when he was running to first base. Two routine plays sent two Baltimore Orioles players out of a recent game proving that routine is not always so routine after all. Now, Manny Machado, like every other Major League Player, has run to first base hundreds if not thousands of times since first playing the game of baseball as a child. One might go so far as to say that running to first base is one of those routine plays. While players can be called either safe or out upon their arrival at first base, few would argue the fact that the act of arriving at first is pretty much routine. Every so often though something goes amiss with the routine and a player gets injured by doing something just slightly different from the way that it had always been done. In Machado’s case the deviation from the routine occurred when he caught the edge of the first base bag at a slightly wider than usual angle. The resulting angle caused Machado’s knee to buckle as he fell to the ground behind first base. Machado remained on the ground for several minutes as the training staff tended to him and he ultimately left the field on a stretcher with his season over. The good news came a few days later in that the injury was not as bad as first thought and the recovery time should be short and allow Machado to join the team in Sarasota, FL in March for Spring Training. Of course in the same inning that Machado was injured another Oriole player was hurt during a seemingly routine play. In the bottom of the seventh inning Orioles infielder Alexi Casilla went after one of those routine fly balls and was running into right field to get it. Unfortunately as Casilla was diving for the bases loaded ball hit by Rays’ right fielder Wil Myers Castilla’s head was introduced to the knee of Orioles right fielder Nick Markakis’ leg. Although Casilla initially had the ball in his glove to record the out it rolled out of his glove as he hit the ground, and Markakis’ knee leading to what would become the tying runs for the Rays. Casilla finished out the seventh inning but was soon sent to a hospital for observation. During a press conference after leaving the hospital Casilla stated that he has no memory of the play due to what is likely a concussion. Time will tell if he is able to return this season. In the same inning two players from the same team showed that routine plays are anything but and can lead to injuries when just the tiniest of things change. Machado’s and Casilla’s injuries made me think that if highly trained athletes at the top of their game can get injured doing routine things what hope is there for the rest of us? A few years back I sprained my back after tripping over my cat in the middle of the night. Now the path I was taking at the time was one that I had taken many times before. In fact, I had even managed to avoid colliding with the cat in his favorite sleeping spot along the way time after time. Still the routine was interrupted on this particular night leading to a doctor’s visit to explain why my back was sore and some medication to help it get better. That was the last time that I hurt myself tripping over the cat and the walks once again became routine but history shows us that we are just one false step away from altering the routine at any given time. That seemingly boring daily commute to work can be interrupted by construction, accidents, or even a rain shower that lowers visibility. The restaurant with the great pot roast special can run out of mashed potatoes one week making the pot roast seem not so tasty. Even the most routine of routines can change with little or no notice. The key is to not be the one leaving on a stretcher when it does. Now if you’ll excuse me, all of this talk about pot roast has me a little hungry. Yesterday was the first day of fall, or autumn if you prefer. Fall is the time when temperatures and leaves both start to drop. Fall is also the time when pumpkins and nutmeg make their yearly appearance in everything from pies to beverages at various restaurants. Fall is also a time when the summer clothes get put away and the sweaters and jackets come out. Of course despite the calendar saying that fall is here and temperatures should be falling it tends to arrive in different parts of the country at different times. I was recently reminded of this fact over the weekend while watching some college football games. While the fans in the stadiums of many of the games were wearing their fall best as temperatures were likely in the 60’s I was sitting in shorts and a t-shirt and experiencing 80 degrees outside. Despite fall’s arrival throughout much of the country for Gulf Coast residents fall does not arrive until late October or early November most years. As much as I would love to be enjoying the flavors of fall such as soups and pumpkin flavored coffees it is still way to hot to even think about any of that here. With temperatures still forecast to hit the 90’s this week the calendar telling me it is the first day of fall does not really mean anything to me. So while I still need to wait a bit for the fall temperatures to arrive there is no lack of excitement on the baseball schedule to keep me entertained while I wait for the autumn chill. Time will tell if DJ Kitty and the Tampa Bay Rays make it back to the postseason for the fourth time in five years. Starting today there are only seven days left in the regular season of Major League Baseball as teams jockey for position to be included in the Fall Classic known as the World Series. Some teams have already clinched a spot in the postseason while others are still battling for their ticket to the postseason. Perhaps no where is that neck and neck race more intense than in the American League Wildcard race. The Tampa Bay Rays hold a half game lead over the Cleveland Indians for the top spot in the Wildcard race. So, if the season ended today the Rays would host the Indians in a one-game winner takes all wildcard showdown at Tropicana Field in St. Petersburg. Of course, the season does not end today and the Rays have seven games left to play in the regular season. After finishing the series with the Baltimore Orioles today the Rays have three games against the Yankees in New York and three games north of the border against the Toronto Blue Jays. The Indians have six games left in the season with a home set against the Chicago White Sox and a road series against the Minnesota Twins. 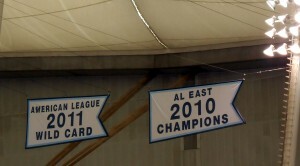 The Tampa Bay Rays are seven games away from getting to add to their banner collection. On paper the Rays have a more difficult schedule remaining over the Indians who were able to pad their push to the Wildcard with a sweep over the Houston “yes, we really are still a Major League team” Astros. The Texas Rangers who were the second Wildcard team until a few days ago will hope that a series against the Astros helps restore their postseason hopes as they have been in a tailspin in Kansas City falling to the Royals on consecutive days. While the Wildcard round certainly allows more teams to make the postseason it certainly makes for some long fall nights watching the games and pulling for teams to win and others to lose. 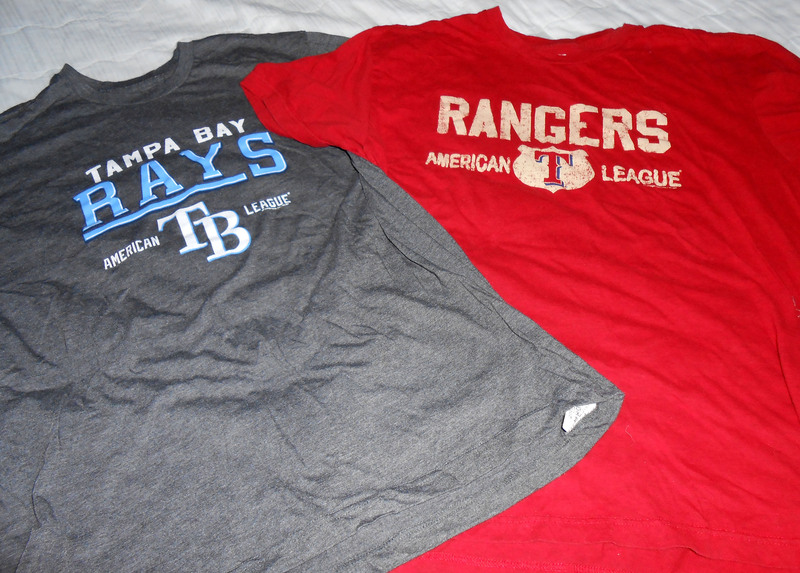 So while the rest of the country takes out those fall sweaters and windbreakers I will be rolling out the Tampa Bay Rays rally t-shirts and polo shirts and watching a lot of games on television. Once the dust is settled and the playoff teams have been identified there will be time to think about all of those fall scents and flavors. Until then it is still time for the Boys of Summer to play a little longer. Now if you’ll excuse me all of this talk about the flavors of fall has me craving a pumpkin flavored beverage. For Sherlock Holmes, it was Professor James Moriarty. For the Hatfields, it was the McCoys. For Superman, it was kryptonite. For the New York Yankees, it was and forever will be the Boston Red Sox. History and literature are full of examples of epic rivals facing off. Usually the best of these rivalries occur when both parties are equally matched and either one could secure victory on any given day. Over the past four seasons the Tampa Bay Rays and the Texas Rangers have been familiar rivals in the quest for the postseason. Both teams are currently tied atop the American League Wild Card standings. For the past three years another rivalry has been quietly building between the Texas Rangers and the Tampa Bay Rays. For those who question the Rangers and Rays as rivals consider this, the path to the postseason for each team for three of the past four seasons has come down to a battle between them. 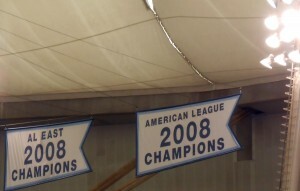 In 2010 the Rays faced the Rangers in the American League Division Series and lost two games to three. In 2011 the Rays once again found themselves facing the Rangers in the Division Series and this time only managed a single victory in the series. Although the Rays were defeated by the Rangers in two consecutive years they can take some solace in the fact that the Rangers went onto the World Series both years. After all, somehow losing to the eventual pennant winner provides some small comfort. Both teams were shut out of the postseason in 2012 which brings us to this season. Currently the Rays and the Rangers are battling each other for the top seed in the wildcard race. After splitting a four game series in Tropicana Field this week the Rays and the Rangers remain tied for the top Wild Card spot. It is highly probable that the Rays and Rangers will meet in the winner takes all Wild Card game this year marking the third time in four years that the road to the World Series runs through them. So while the Rangers and Rays have not been rivals for as long as some of the historic rivalries in sports, it should certainly not be discounted in terms of intensity. And while one could argue that the Rangers’ true rival should be their American League West Division opponent, and neighbor to the south Houston Astros, they would be wrong. The Rays and Rangers offer a battle between two teams that were near the bottom of the standings for much of their existence before finding a winning formula for success late in the last decade. The fact that each team went through so many losing seasons makes them even hungrier to continue their current success which just so happens to intensify the rivalry more than any games against an in state rival such as the Astros or Marlins would provide. There are also some connections between the two teams beyond their recent success that may not be so obvious at first glance. Hall of Famer Ted Williams was the first manager in Rangers’ history after they moved from Washington D.C. where they were known as the Senators. Baseball Hall of Famer Ted Williams served as manager of the Washington Senators and continued in that role for a single season after the team relocated to the suburbs of Dallas, Texas to become the Texas Rangers. 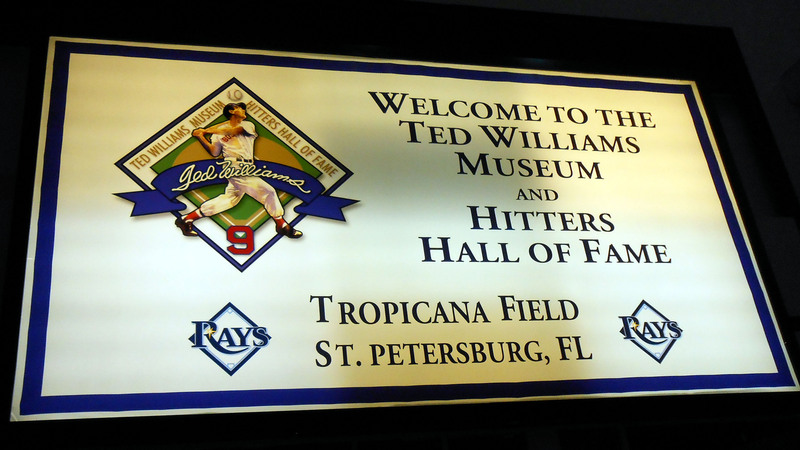 The Ted Williams Baseball Museum is located inside of Tropicana Field which just so happens to be the home of the Tampa Bay Rays. 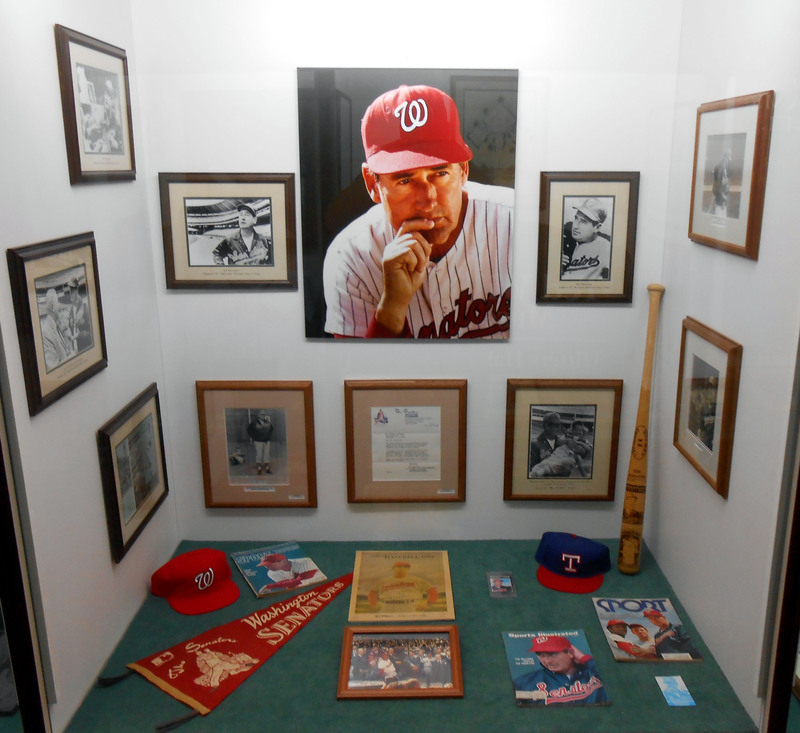 In addition to the Ted Williams connection there are many players who have been associated with both the Rangers and the Rays leading to a familiarity of sorts. During the 2010 and 2011 playoffs former Ray Josh Hamilton helped lead the Rangers to victory. I am sure there were quite a few times when the Rays had wished that they still had him on the team. 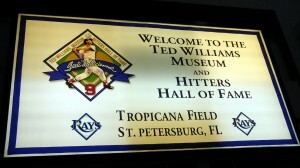 Although he once managed the Rangers the Ted Williams Museum is located inside Tropicana Field, the home Ballpark of the Tampa Bay Rays. This year it is Matt Garza former Rays pitcher turned Rangers pitcher that will look to eliminate his former team from the playoffs. The Rays have four games against the Orioles at Tropicana Field before heading to New York for a three-game set with the Yankees. The Rays will end the regular season in Canada with a three-game set against the Toronto Blue Jays. There is little room for error for the Rays if they want to cling to that Wild Card spot as the Orioles are nipping at their heels and could take the Wild Card spot depending on how the head to head games go. The Rangers have a slightly easier path in theory when it comes to them holding onto their Wild Card spot with three games on the road against the Kansas City Royals before returning to the Ballpark in Arlington for three games against the Houston Astros and four games against the Los Angeles Angels of Anaheim. But of course anything can happen on any given day which is why the games are played. This year is shaping up once again to be one of those down to the wire seasons where all of the postseason spots won’t be filled until the last out is recorded. While it is yet to be determined how this season will end in terms of the Rays and Rangers one can definitely not deny the young rivalry that seems destined to last for years to come as both teams battle each other year after year. Now if you’ll excuse me, I am off to pray for a miracle sweep of the Rangers by the Astros to help the Rays secure home field advantage.